Fat, Sick and Nearly Dead: How to Make a Mean Green! 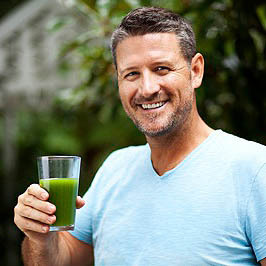 I am currently taking part in “The Big Juice Spring Clean“, an international juice cleanse based around Jason Vale’s books “7lb in 7 days” and “Juice Yourself Slim”. Throughout this 2 week period I am sharing a few of my favourite juices with you. Today’s juice of choice is the “mean green”. How many time can i take the mean green a day? and can i blend mean green for the hole day or do i blend every time i’m going to drink?